I loved this vintage tooled leather clutch, but the vinyl lacing and light color made it feel more like a kitschy craft project than an authentic antique. (And to be fair, I think it is a Tandy kit project from days past.) I used Fiebring's leather dye and Tandy Calf Lace to darken and re-laced the clutch. 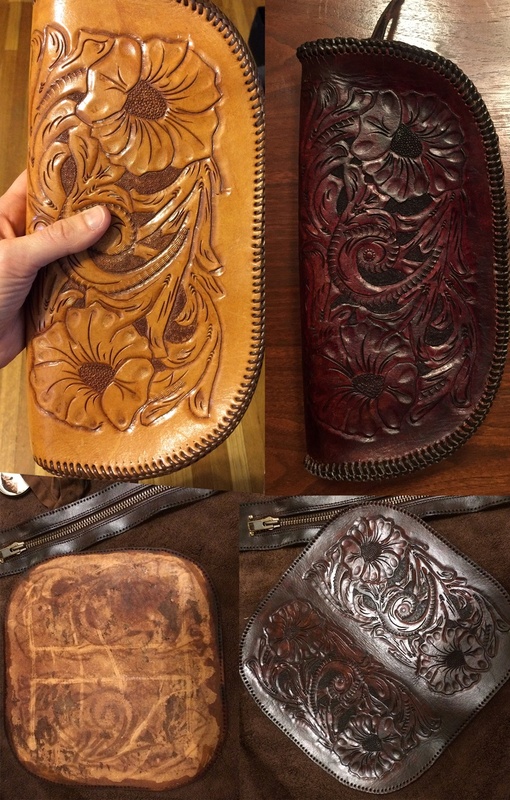 I've never done any leather work before, but Tandy has this really sweet video showing how to execute the Double Loop Lace.